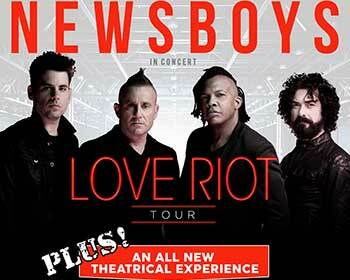 The Newsboys will perform at the Wicomico Youth & Civic Center during the Love Riot Tour. Also features a pre-show theatrical experience. Tickets range from $18 (group) to $100 (VIP).